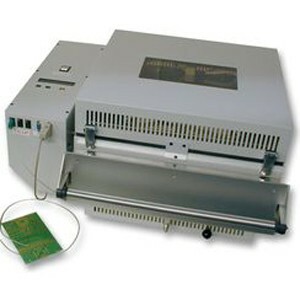 The reflow oven FT05 includes in line the memorisation of 10 programmes, the advice visualisation by LCD display and 5 connections in front face: 3 for flexible thermocouples, 1 for printer and 1 for computer. The FT05 oven is compatible with the software SMTix-FT® (as an option). In « Test » mode: this software parameters the oven to test profiles on boards, to view the curve tracing, to valid the tests and to store in one of the 10 memories of the oven or computer.